After writing about 'The Shape of Water' and speculative fiction nominees galore at the BAFTA Awards, I suggested today's topic. I'm thinking about posting an entry listed the speculative fiction nominees at the Costume Designers Guild Awards tomorrow followed by the speculative fiction winners at the PGA Awards. Stay tuned. 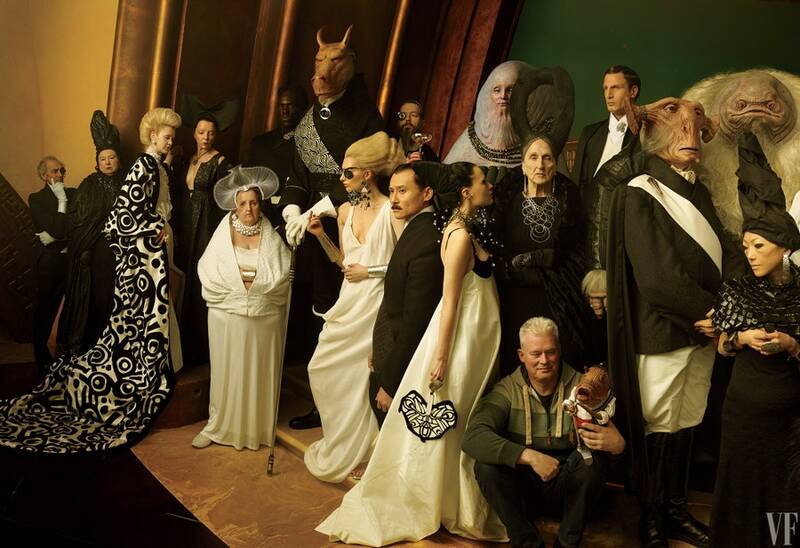 If "The Last Jedi" can earn a nomination at the Art Directors Guild Awards along with lots of other speculative fiction movies and TV shows, then maybe the Costume Designers Guild would reward speculative fiction as well. After looking at the nominees, I was not disappointed. Every category has at least one speculative fiction nominee to say nothing of two categories just for science fiction and fantasy. Before I share all the nominees and my opinion of their chances of winning their categories, I'm sharing Wochit Entertainment asking Which Flix Score Costume Designers Guild Nominations? Costume design is one of the most important components of big budget blockbusters. Wonder Woman, Thor: Ragnarok, and Star Wars: The Last Jedi were all recognized for their costumed contributions. The awards are broken down to categories for film and television. The categories include: Contemporary, Sci-Fi/Fantasy, and Period, as well as one for music videos. The winners of the Costume Designers Guild Awards are set to be announced February 20. Yes, "Star Wars: The Last Jedi" earned another nomination to join the one for Production Design from the Art Directors Guild and Sound and Visual Effects from BAFTA. At least my readers and I know what categories the professionals think it excels at. Also, here are all the nominees "The Last Jedi," "Wonder Woman," and "Thor: Ragnarok" are competing against. While I'm rooting for "The Last Jedi" and "Wonder Woman," I suspect "Beauty and the Beast" is the favorite. It's the only one of the group nominated at the BAFTA Awards. One speculative fiction film earned a nomination in this category, "Get Out," two if one counts "Kingsman: The Golden Circle" as a comic book movie. I think the latter has more fun outfits to look at. That written, my pick is "I, Tonya," which was the only nominee in this category also nominated at the BAFTA Awards. This is the one category where I think the speculative film nominee, "The Shape of Water," has a chance, as it was also nominated at the BAFTA Awards and Critics' Choice Awards. However, it's competing against "Phantom Thread," which is not only nominated at the BAFTA Awards, but won the Critics' Choice Award for Best Costume Design. Wochit Entertainment featured it in another clip about the nominations, Costume Designers Guild Recognizes ‘The Phantom Thread,’ ‘Beauty and the Beast’. As much as I'm rooting for the monster romance, I think "Phantom Thread" is the favorite. Still, speculative fiction did well with seven or eight of the fifteen nominees. Follow over the jump for the television and short form nominees. Once again, I've reordered the categories to feature speculative fiction. Hey, look, the first nomination for "Star Trek: Discovery" and what is likely the last nomination for "Sleepy Hollow" plus recognition for one of my favorite shows to gaze at beautiful if outlandish costumes, "Once Upon A Time." I'm glad to see all these shows, along with "Black Mirror" and "Game of Thrones," get recognition. Out of all of them, I'm rooting for "Once Upon A Time," where the costumes are sometimes the best part of the show, but I suspect "Game of Thrones" will win, something I thought before I found out it has won this awards the past three times. The two speculative fiction shows are "American Horror Story: Cult" and "The Handmaid's Tale" and both have great costumes. My first impulse would be to suggest that "The Handmaid's Tale" is the favorite, but that came before I found out that "American Horror Story" has won this category the past two times. However, that was a different designer those two seasons and it wasn't competing against either "The Handmaid's Tale" or "Big Little Lies," which has been an awards juggernaut in the limited series categories. As for the dark horse, I'd say it's "The Young Pope." No, "Grace and Frankie" does not impress me as having better costumes. I guess thirty years in the past qualifies as "period" these days, otherwise "GLOW" and "Stranger Things" wouldn't qualify. While I love "Stranger Things," costume design isn't its strongest feature, especially when it's competing against "The Crown," which I thought was favored even before I found it it won last year. Now for the last category. The obvious speculative fiction entry here is the commercial for "Assassin's Creed," a video game, but that isn't the one I think deserves recognition. Instead, two other nominees caught my attention, Katy Perry's video for "Chained to the Rhythm" and "Miu Miu Women's Tales #14," both of which fit with this blog's original theme of collapse and decline. Between the two, I'd vote for the Katy Perry music video about what James Howard Kunstler calls "the consensus trance" keeping Americans from seeing reality. After all, who's going to bet against Katy Perry and her costumes? I think I've found a new theme song for the blog.